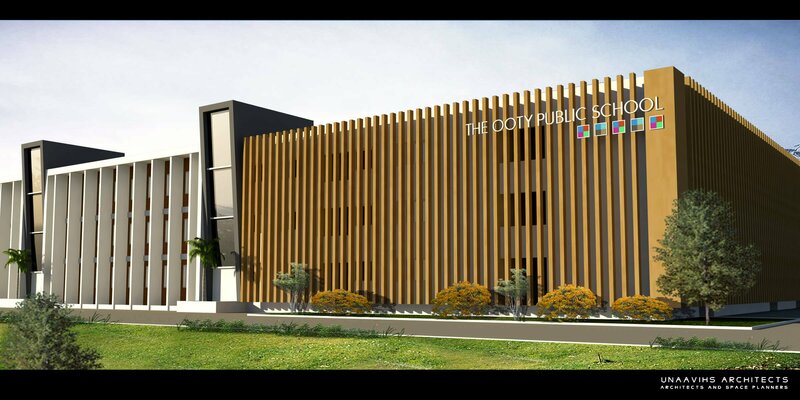 The Ooty Public School Which is located Onnipalayam. A small Village/hamlet in Periyanayakkanpalayam Taluk in Coimbatore District of Tamil Nadu State, India. It comes under Bilichi Panchayath. The major side & the longer axis of TOPS is facing West side to avoid direct sunlight exposure to the classrooms. BUILT UP AREA: 4340 Sq.ft.